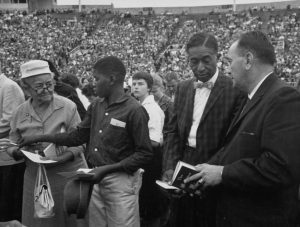 “America’s Pastor” left behind a complex legacy built on Christian worldviews and a deep sense of racial injustice. But, he wished for more. On March 2, millions watched the funeral of the Rev. Billy Graham, one of the most prominent religious figures of the 20th century. 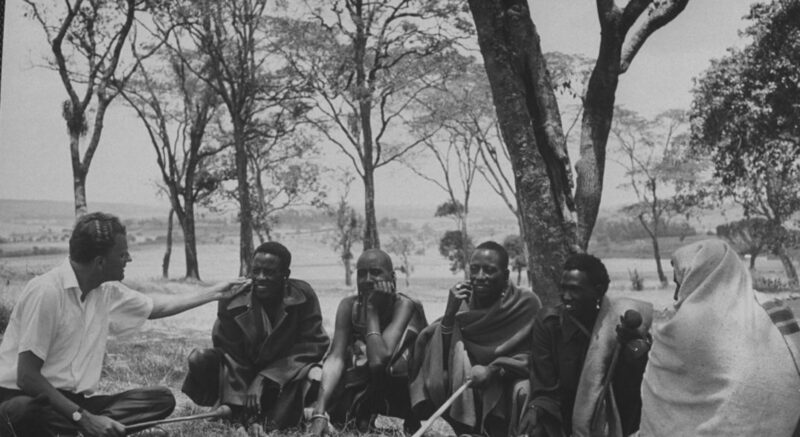 His life was influential to many, and anthropology was an influence on him. 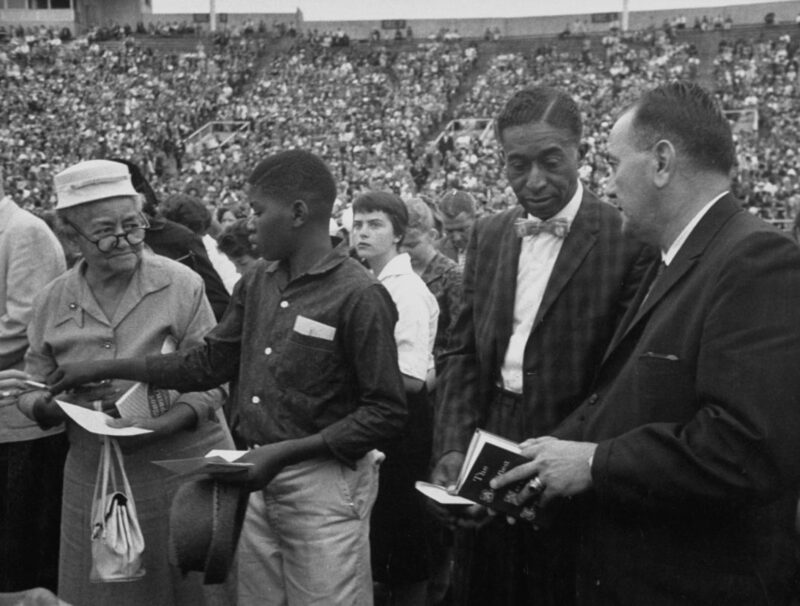 As an anthropology major at Wheaton College, young Graham encountered ideas that permanently shaped his approach to his ministry, particularly around issues of race and racial segregation. Graham began his post-secondary education at the fundamentalist Christian school Bob Jones College, then an unaccredited institution in Cleveland, Tennessee, before moving to the then-unaccredited Florida Bible Institute (now Trinity College of Florida) near Tampa. After earning a two-year degree from there in 1940, he was encouraged to attend Wheaton College, a Christian liberal arts school near Chicago. Considering the possibility that he might go into foreign mission work, and in pursuit of a well-rounded liberal arts education, Graham moved to Illinois to attend Wheaton and major in anthropology. The Wheaton College anthropology department was established in 1937 by Alexander Grigolia, a charismatic Russian émigré with a doctorate in anthropology from the University of Pennsylvania. The curriculum Grigolia developed reflected the views of Franz Boas, often considered the founder of U.S. anthropology, who was an ardent opponent of the scientific racism (the belief that scientific evidence proved the existence of different racial groups and their inferiority or superiority) prevalent in the early 20th century. After Graham graduated with a bachelor’s degree in anthropology in 1943, he spent a few years in church-based ministry, and even served as the president of a Christian college, before launching his career as an evangelist in 1949. Speaking at a Los Angeles evangelistic rally, Graham caught the eye of media magnate William Randolph Hearst, who sent a telegram to his many publications that simply read: “Puff Graham.” With that injunction, Hearst’s company began promoting the evangelist. With the media empire behind him, Graham’s natural gifts took him to superstar status within a year. Although many criticized Graham for how he navigated the racial politics of his day, and he himself voiced regrets later in his life, his exposure to anthropology proved to be pivotal in his stand against segregation and racial hierarchy around the world. He countered prevailing views on race with anthropologically informed arguments to expose the fallacy of different, hierarchically arranged human races. Definitely not. The Bible teaches that God hath made of one blood all the nations of the world. … Anthropologists have come to two very important biological observations. First, there are no pure races. Second, there are no superior or inferior races. We know from history that all people upon contact have crossed their genetically based physical traits. We know from human anatomy that in fundamental structure all people are identical. As far as biological man is concerned, what he is related to is his cultural environment, rather than to any inherited ability or aptitude. After 1954, when the Supreme Court’s Brown v. Board of Education ruling deemed segregation in public schools unconstitutional, Graham never again held a segregated rally, citing constitutional law and his convictions on racial equality. However, he still received criticism from those who felt his highly individualistic Christianity, which made having a “personal relationship with God” the universal cornerstone of Christian life, kept Graham from addressing discrimination as a social, institutional, and systemic reality. His contemporary Reinhold Niebuhr, a prominent American theologian and commentator, was sharply critical of Graham for promoting a form of Christianity that was “oversimplifying every issue of life.” Niebuhr suggested that, like many white, conservative Protestant Christians, Graham held personally laudable views about race but ignored the larger social, political, and cultural dimensions of social evils like racism and segregation. Racism may be the most serious and devastating social problem facing our world today. It divides humans and nations from each other, and is the root cause of many of the wars and conflicts that rage across our globe. Racism is a deadly poison, which never brings good, resulting always in a bitter harvest of hatred, strife, and injustice. 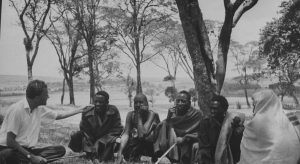 It seems toward the end of his life, Graham could see that beyond the scientific evidence anthropology marshaled to support racial equality, anthropology could also expand his sense of the cultural and social contexts of race and racism. He learned to see more clearly the broader contexts in which all kinds of human evil—and human virtue—are able to flourish.